Sustainability is important in the ornamentals sector. More and more suppliers and customers are demanding responsible attitudes and production methods. With more than eighty years of experience as a chain partner, sustainable operations and environmental awareness are important policy spearheads for Elburg Smit. This allows us to be a sustainable and reliable partner for our customers, our clients, and our employees. It is with this vision in mind that we offer expert advice, deliver custom packaging and communication products, and contribute to the turnover of our national and international clients. Our unique company structure is geared towards continuity and staff participation. We offer our employees a healthy work environment based on mutual respect and trust and the opportunity to pursue personal growth and development. We are convinced that a stable workforce and a positive work climate are the building blocks of a sustainable relationship with our clients. We select and manage the raw materials for our products based as much as possible on sustainability criteria and handle industrial waste with due care. All cardboard and plastic waste is separated and recycled, and we keep ink and chemical waste to a minimum. Our multi-year plan helps us maintain our energy-efficient production processes. All of our sustainability objectives are SMART formulated and are overseen by an MT member with final responsibility. 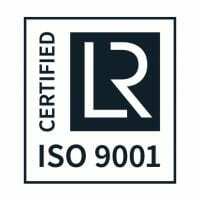 Where possible, these objectives form part of our ISO 9001:2015 certification. 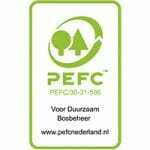 Thanks to our quality management system, we are also FSC®C007957– and PEFC certified. 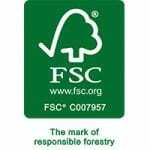 All of our paper types are made from trees that come from responsibly managed forests. Elburg Smit is a member of Benefits of Nature, an organization that calculates and improves the environmental footprint of companies and their products in the international agriculture and horticulture sector. A special steering committee has been tasked with reducing our organization’s carbon footprint on all fronts, in collaboration with Benefits of Nature. As a chain partner in the botanicals sector, we are always looking for ways to strengthen the collaboration with our client base in the long term. In doing so, we put our clients’ needs first, brainstorm with our clients, provide up-to-date information, and deliver high-quality and sustainable products. In our view, your product can only be considered ‘green’ if the label and the packaging is carbon-neutral and made from biomaterials or FSC or PEFC cardboard. For more information about our vision on sustainable entrepreneurship or our other products and services, please contact one of our account managers. Click here for their contact details.